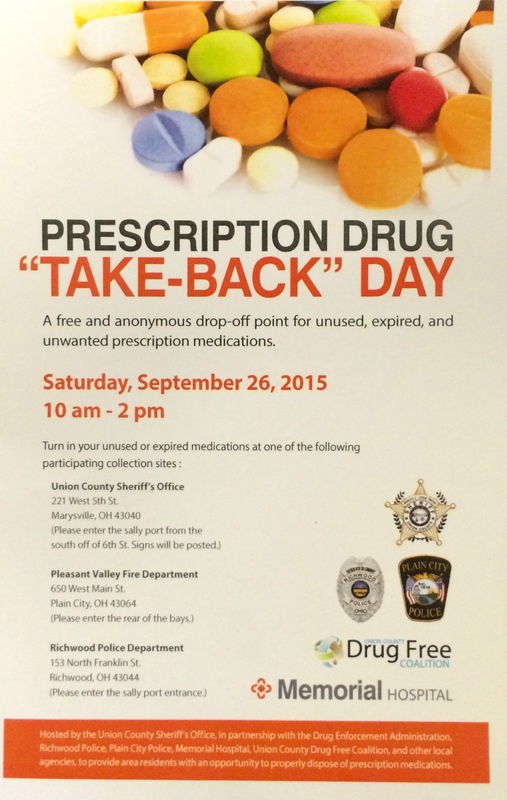 National Prescription “Take-Back” Day is Saturday, October 28. 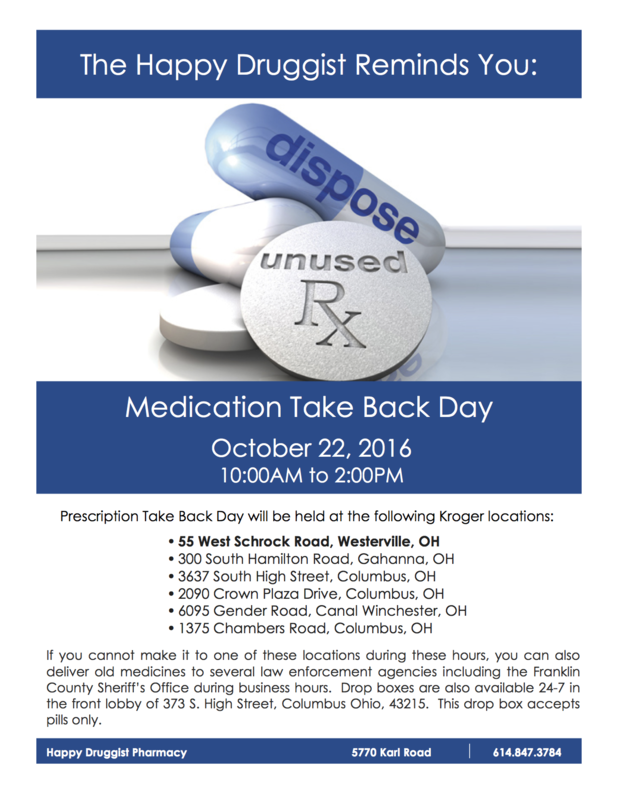 The National Prescription Drug Take-Back Day will take place on Saturday, October 28 from 10 am to 2 pm. During this yearly event, you can turn in old or no longer used medicines for proper disposal. We know that many of you may have medications that have expired or that you don’t take any more and this is a perfect way to make sure they are destroyed so that no one gets hurt. 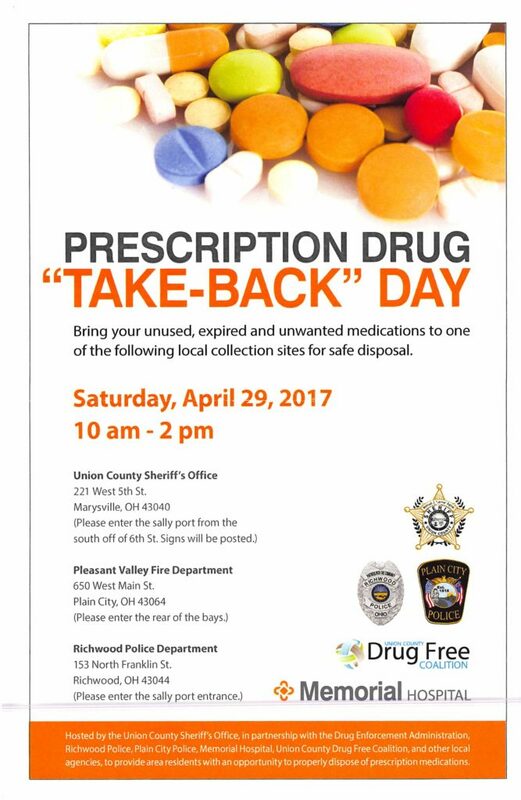 Prescription Drug “Take-Back” Day is Saturday, April 29 from 10 am to 2 pm. The National Prescription Drug Take-Back Day will take place on Saturday, April 29 from 10 am to 2 pm. 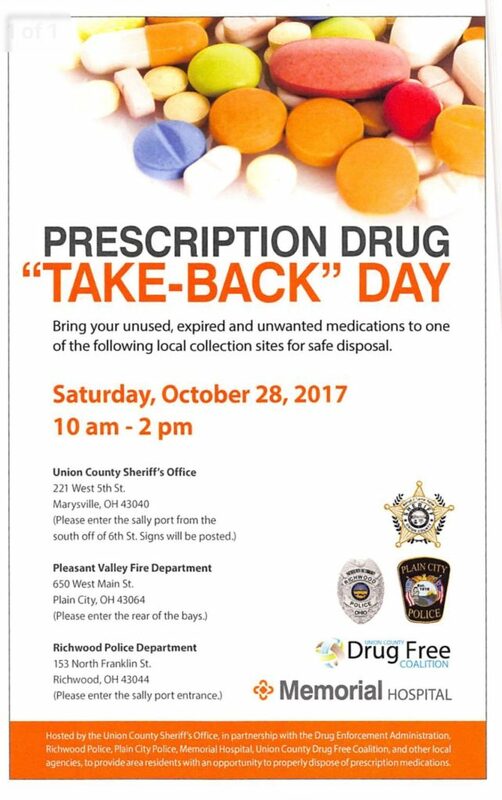 During this yearly event, you can turn in old or no longer used medicines for proper disposal. We know that many of you may have medications that have expired or that you don’t take any more and this is a perfect way to make sure they are destroyed so that no one gets hurt. National Prescription “Take-Back” Day is Saturday, October 22. The National Prescription Drug Take-Back Day will take place on Saturday, October 22 from 10 am to 2 pm. During this yearly event, you can turn in old or no longer used medicines for proper disposal. We know that many of you may have medications that have expired or that you don’t take any more and this is a perfect way to make sure they are destroyed so that no one gets hurt. For the nearest locations near Happy Druggist on Karl Road in Columbus, see the flyer below that our student Danae made for us. You can also drop off medications directly at Happy Druggist and we will turn the medications in for you at the closest drop off location. 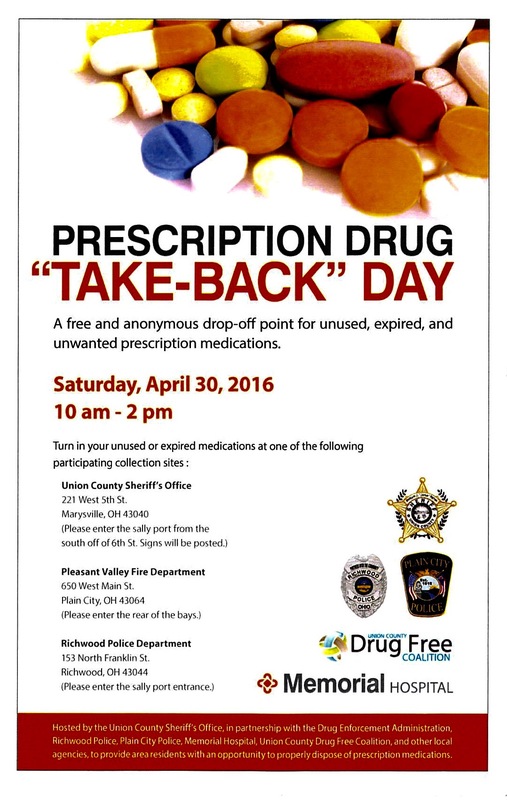 Prescription “Take-Back” Day is April 30. The National Prescription Drug Take-Back Day will take place on Saturday, April 30 from 10 am to 2 pm. 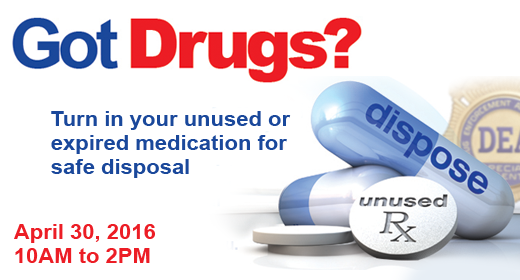 During this yearly event, you can turn in old or no longer used medicines for proper disposal. We know that many of you may have medications that have expired or that you don’t take any more and this is a perfect way to make sure they are destroyed so that no one gets hurt.